Gedu Andargachew becomes the new president of Amhara region Which is foun in Ethiopia. Amhara region federation with its 4th year first meeting makes Gegu Andargachew the regional president. 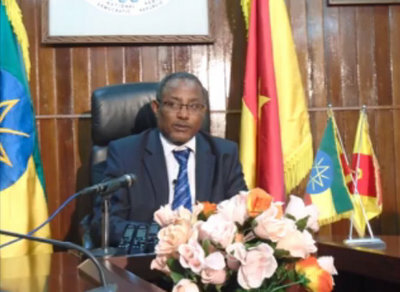 The federation makes Gedu Andargachew the president of Amhara is after receiving the former president's Ayalew Gobeze's question. Gedu Andargachew starts their work after making promise to make their best effort for the region as well as for Habesha people or Ethiopia. The former president of Amhara regional state Ayalew Gobeze thanks all the people who were given their support while they were in their job. And he also wishes success for the new president Gedu Andargachew. Amhara regional federations also approved seven kabine members.